When you file Chapter 13 bankruptcy, this allows you to reorganize your debt and repay your creditors over a three to five year plan. An appointed bankruptcy trustee will oversee the administration of the repayment plan. 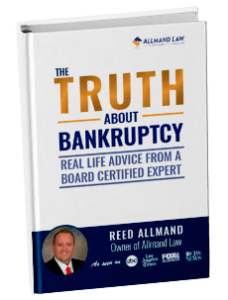 Below, Reed Allmand discusses the bankruptcy trustee’s duties, as well as what to expect when filing Chapter 13. What Are the Bankruptcy Trustee’s Duties? Your repayment plan outlines exactly how you intend to repay your creditors some of or all of your debit. A task of the bankruptcy trustee is to make sure that the Chapter 13 repayment plan is fair to both you and your creditors. Your trustee will start by reviewing all of the official bankruptcy forms filed from the beginning of the case. Your trustee will also cross check the figures provided on the official forms to figures on additional documents sent to the trustee after filing. Because the petition and schedules include information such as your income, monthly expenses, debts and assets, you will need to produce tax returns, bank statements, past paycheck stubs, and more required by your bank bankruptcy trustee. After a month from filing, your bankruptcy trustee will administer a 341 meeting of creditors, which you must attend. During the meeting, you’ll need to answer questions under oath about your bankruptcy paperwork and plan, and other supporting documents. Expect to receive questions about your income and assets, as well as other relevant information. If more documentation is needed, your bankruptcy trustee will schedule another meeting for a later date. Otherwise, when all the questioning is done, your trustee will conclude the meeting. Should a problem arise with your plan and receive an objection from court approval, you will be offered a short period to correct that issue and draft an opposition in support of your plan. Your trustee will then oversee the confirmation hearing and assess the judge as to whether the plan is feasible and meets all requirements. At the end of the hearing a judge will decide to either approve or reject your plan. After 30 days from Chapter 13 filing, you must start your monthly payments to your bankruptcy trustee. However, until your repayment plan is approved by the court, your trustee will hold your funds in trust for your creditors. Once the court approves the plan, your Chapter 13 trustee will begin to distribute your funds to your creditors according to the plan’s terms. Chapter 13 plans take three to five years to complete. During the duration of your plan, your trustee will continue to receive your payments and use them to pay off creditors. While this is happening, your bankruptcy trustee will keep an accurate account of each fund received and each fund sent. Within 70 days of filing, creditors must file a “proof of claim” with the court. This proof of claim states your owed amount and has required documentation attached to it. Your bankruptcy trustee will review these claims and object to any that lack correct documentation, are improperly filed, or are false. If you are considering filing for Chapter 13 bankruptcy, an experienced bankruptcy attorney at Allmand Law Firm, PLLC can answer your questions and guide you through the process. Call 214-884-402 today.